Most of us were never taught how to communicate. Every day, I watch leaders and teams transform the way they interact with their work—and the world—through practical and personalized communication training for individuals and groups. I founded PresentVoices to help people speak with power and presence at work—from public speaking to speaking up in meetings. Everything I do is custom-built, evidence-based and interactive. I prioritize practical tools and real-work relevance to help you speak from a place of presence and power. Strengthen the collective voice of your organization through interactive workshops designed from the ground up. A process is designed to help you speak with confidence and conviction, from impromptu conversations to presentations. I’m on the Nonprofit Lowdown podcast talking about (my favorite topic) talking at work. 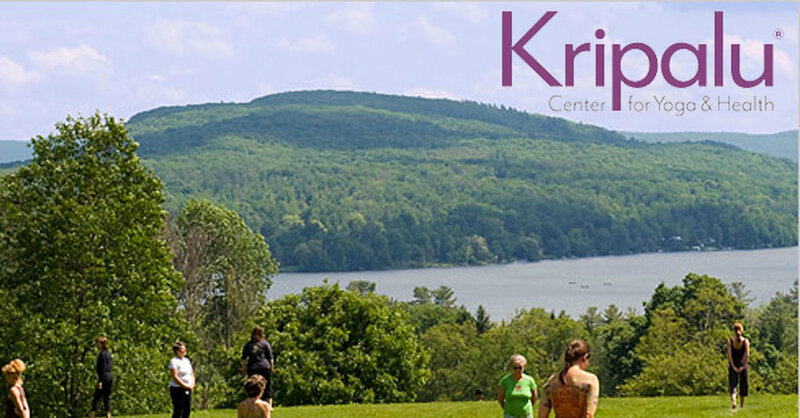 I’m teaching a workshop on Listening as part of this retreat at Kripalu in late June. Join us! I appeared on this Real Simple podcast a few years ago, but the discussion is timeless. Today at work we speak in public constantly—and it’s rarely at a podium. Public speaking is anytime you speak at up work, from impromptu conversations to presentations. It’s the single most important thing we do and most of us are terrified of doing it. My clients feel more confident and in control when speaking up in meetings, preparing for spontaneous speaking, organizing their thoughts and articulating their ideas. Together we are reframing and reclaiming what it means to speak in public. I needed someone to help me hone my pitch deck *and* my presentation skills. I thought that was two people until I met Leah. Now I have a deck that tells the story I want to tell *and* the tools to sell it, in my own authentic voice. Leah has helped me reframe how I show up at work, from public speaking to meeting prep to my approach of difficult situations, I have the right tools for me to be my best and confident self in the workplace. I think the team derived immense value from learning each other's perception of themselves and each other. I believe we have grown closer as a result. What is a Communication Coach anyway? We’re not communicating well. We’ve convinced ourselves we can avoid public speaking at all costs and yet we do it all day every day. Communication is the single most important thing we do and we believe we can’t change the way we do it. What happens when a Communication Coach is struck by public speaking nerves? After the Supreme Court nomination of Brett Kavanaugh, women and survivors are feeling scared and unheard. My response? Unapologetically take up more space. PresentVoices has been in the works for some time and now that it’s here, it feels exactly right for this present moment. If you feel you are discriminated in the workplace due to your gender, you may be right. Here's how to combat gender bias in the workplace and beyond. It's Women's History Month. We know #TheFutureisFemale. But what if #TheFutureIsNow? Do you use Video Conferencing at work? Follow these tips to optimize your use of this new and necessary technology. Do you "should" yourself? Optimize your ability to learn in the workplace by changing one little word. Actors have job interviews (auditions!) nearly every day. Learn a thing or two from the audition process to help make job interviews a bit more bearable. Free Your Voice (and the rest will follow): This Independence Day, liberate your voice. This July 4th, let's talk about freedom of speech. Are you using your voice to get what you want, or is your voice holding you back? Free your voice with these tips. We dread small talk but we don't have to. Transform small talk into a welcome opportunity with these tips. Learn how theatrical experience makes you a stronger communicator, a better listener and a more effective leader. What is the cost of bad communication in sales? Follow these tips to maximize communication when closing the deal. When it comes to conversations about money, are you positioning yourself for success? Or are you avoiding the topic altogether. Women in the workplace: Want to be confident and in control of your communication? Know (and use) your strengths! We'll show you how. Is it possible to be a good leader without being a good communicator? We explore the connection between leadership and communication. Embodied Cognition, the idea that what you do on the outside affects how you feel on the inside, can be used to feel more confident when speaking. Presence is not as elusive as you think. With practice, anyone can learn to harness the power of presence. How to prevent losing your voice, just when you're beginning to find it. We believe that great speakers are made, not born. This year, conquer your public speaking fear with these practical tips. Hillary Clinton joked at the Al Smith dinner that the only performance enhancer she used during the presidential debates was preparation. When considering how to speak in public, what's your process?